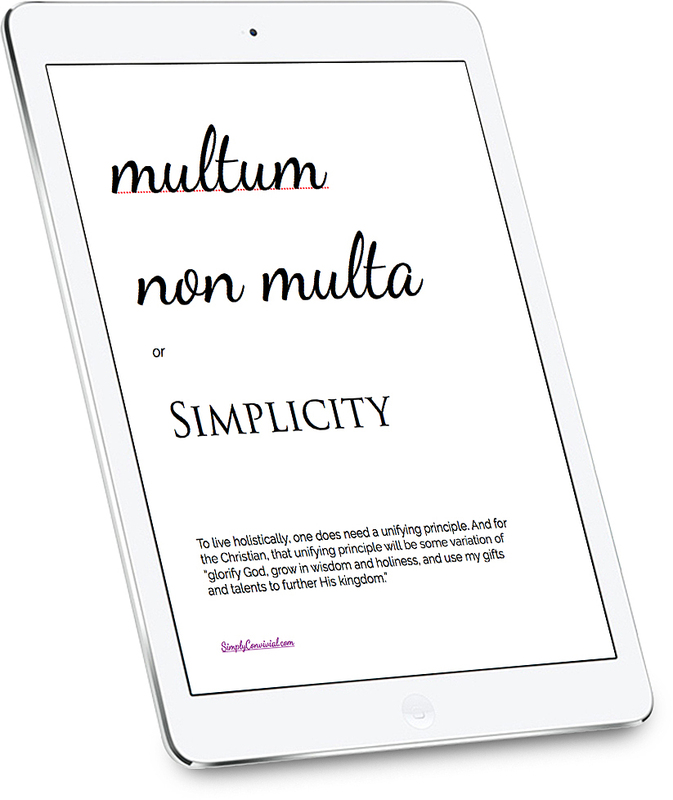 Another way the Latin phrase multum non multa can be translated is ‘not quantity but quality.’ This sentiment is one that has several traditional English proverbs, as well: Quality over quantity, and less is more. A brain dump is simply writing down whatever is piling up in your head when you start to feel a little crazy, a little overwhelmed, a little swamped. 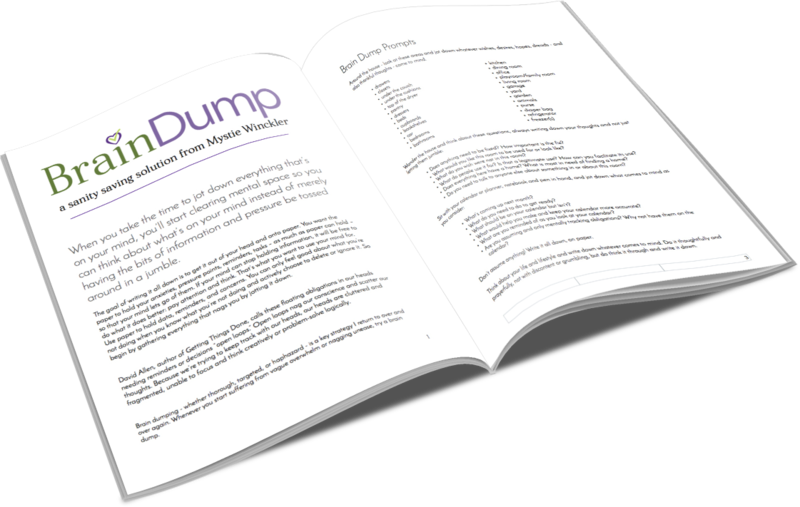 And if you’re feeling a lot swamped, a brain dump is essential! When you write it all down on paper, you move it from the ethereal realm where it’s vague obligation and stress to concrete words on paper you can deal with. When it’s written down, you can better see what’s bothering you and instead of using your mind to hold details and try to remember things, you can use your mind to actually think about those details and make solid decisions. Putting things down onto paper clears the space in your head. A brain dump is not a to do list. A brain dump is just a collection. You might move things from your brain dump notebook to a to do list, but you might also - and probably should also - move things from your brain dump notebook into the trash.Whenever you start to feel like you just can’t juggle everything, try grabbing a piece of paper and writing down all that makes up your everything you’re trying to juggle. You’re sure to have some ah-ha moments. 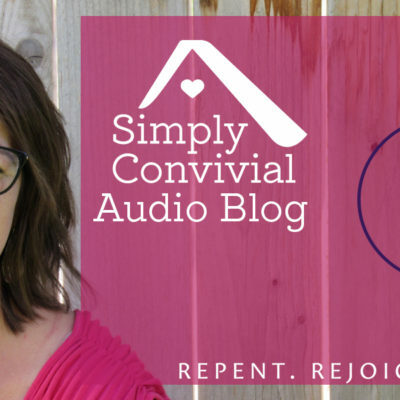 I’m in the purging process in our home (closets, cupboards, etc. )…or I should say I’m compelled to purge and just beginning, but even with the little I’ve done, it already feels good and motivates me to want to do more. I’m just coming off a thrift sale, which is great for cleaning out kid clothing. I donated what was left and feel relieved to be gone with it! 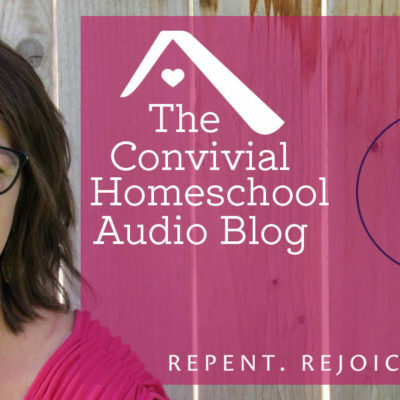 I’ve also been thinking a lot about quality over quantity in our homeschool. We are one week into the new academic year and I’m already thinking what I can cut. I really want to focus on what’s important and leave more free time for family fun, exploration, contemplation, and inspiration. Loved this episode! 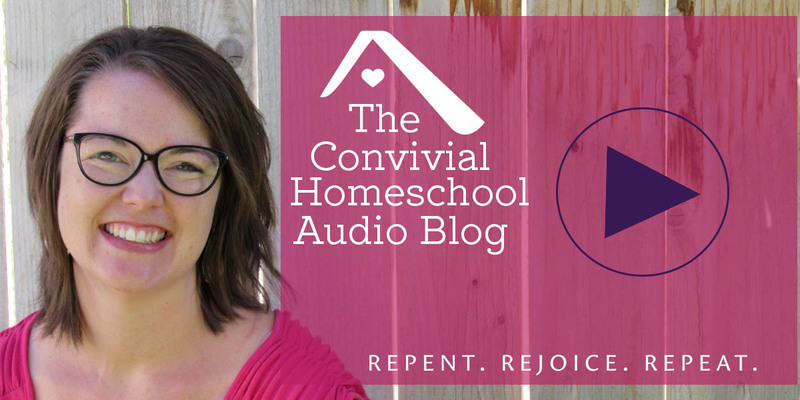 I have used the principles from Managers of their Homes in our homeschool but have removed the time requirements which made me a crazy momma when we didn’t stay on schedule – which was most of the time especially at the beginning of a school year. 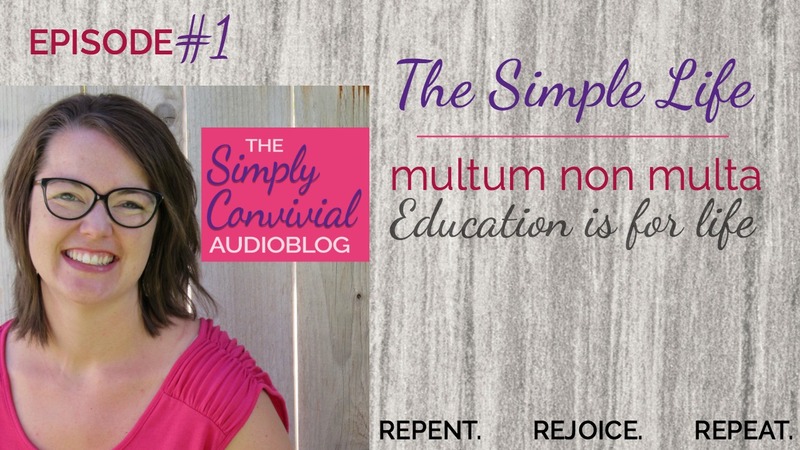 This year 4 of my kids are reading most if not all of their books and that is really simplifying things for me. YAY!! On another note, I’d love to download the show notes, but a having a hard time locating the link – where should I be looking? Hm, not sure what you mean, Lisa – you can sign up to get the motto downloads sent to your inbox, but the “show notes” is just this post. Thanks Mystie – I was just confused :) I thought the notes were something that could be downloaded. Now I understand! This is gold Mystie. We have a toy room in our house. Our house is a relatively small craftsman home from the early 1900’s. Currently, five people live here. We don’t have the luxury space to dedicate to a toy room, yet we have one. When did this phenomenon become so common? In fact, the toy room is more of a toy dump rather than a place of amusement. It is ridiculous. I think they multiply like bacteria when I’m not looking. The reduction project starts this Saturday.